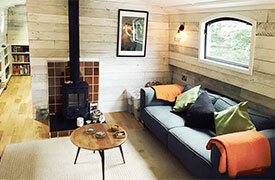 How Much Does It Cost To Live On A Narrowboat? | Living Costs On A Narrow Boat? Cost of living on a narrowboat will vary from person to person depending upon your lifestyle. Here we explore the most common expenses for day to day life whilst traveling and living on the water. Narrow boat size, cruising choices and mooring options will have the biggest impact on the living costs associated with living on a narrow boat. Unless you choose to cruise continuously, you will need a home mooring. As a side note, continuous cruising attracts certain licensing conditions and the requirement that canal and river mooring time limits are respected. Unless posted otherwise, towpath mooring is restricted to 14 days continuous occupation after which you are obliged to move on. “Moving on” means different things to different people. A highly emotive subject, check with the Canal & River Trust concerning your rights and obligations. Mooring in marinas is probably the commonest location for boats on the inland waterways. Offering security of safety in numbers, mooring in a marina is a great way for boaters to network, build relationships & gain experience. Facilities vary so do your homework. 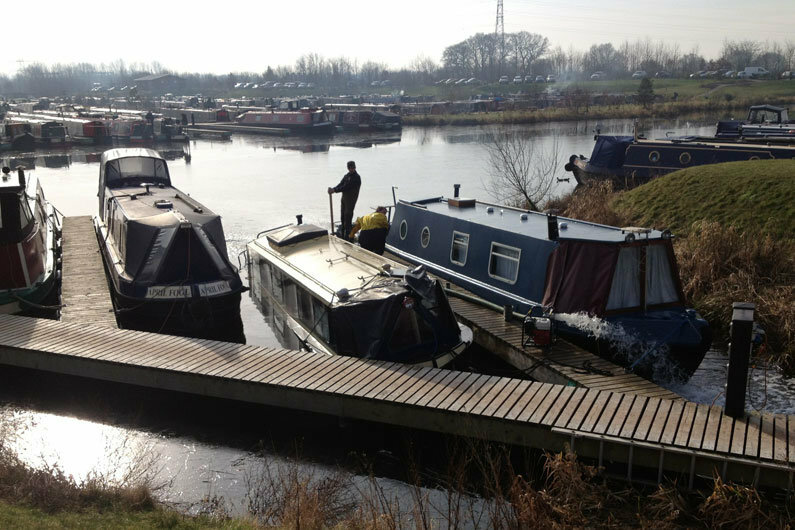 Many landowners who own canalside property will also offer moorings. These private, on-the-line moorings can also vary tremendously in facilities and security offered. A third option for mooring is via the Canal & River Trust. They offer an auction based scheme for annual mooring rental. Mooring costs can vary a great deal depending on facilities offered and boat length. Not all marinas or bank-side moorings are classed as residential. Don’t assume your local marina will be sympathetic to your new floating home lifestyle, they may simply offer a storage facility. If DIY fitting out a sailaway canal boat, confirm this is acceptable to the marina owners. Check they accept children should you have a family, and don’t assume your dog or cat will be welcome. Best advice, do your homework first and ring round your chosen geographical location. Very generally, depending on boat length, location and facilities bank on paying from around £2,000 pa for a midlands marina to £12,000 pa for a central London private residential mooring. If your new purchase is not licenced you will need to apply to the Canal & River Trust for your annual license. Use the link here to visit the licensing section of the CRT website. This will vary in cost with reference to how long your boat is and how you wish to use it. For example a Gold Licence covers both CRT and Environment Agency navigations and for 2017 one of these licences for a 70’ boat paid by direct debit will cost £1,478. Currently, a handful of marinas in the UK are CRT licence exempt. Your narrowboat needs to be licenced to use EA or CRT navigable waterways but if moored in an exempt marina the fee is waived. In this example,to licence a 42’ boat to cruise rivers only for 6 months currently costs £292 (2017). Speak to the CRT Boat Licencing Team to discuss what are the best options for your lifestyle and location. When licencing your narrow boat, the CRT will need a copy of your current BSS examination. The issue of your licence by The Canal & River Trust is conditional on you having a current boat insurance policy in place. Marinas will also insist on canal boat insurance and in-any-case, why would you not insure such an important purchase. More specifically, your canal boat insurance can be tailored to your individual requirements. Unlike conventional household insurance, specialist marine insurers are aware of the different risks involved in providing cover for boaters. Most boaters will travel away from “home” marinas or moorings and therefore the canal boat insurance cover is not post-code specific. As a minimum, your canal boat insurance company must be regulated by the UK Financial Services Authority and cover third party liabilities of at least two million pounds. Depending upon the agreed value of your boat, such minimum insurance cover is available from as little as £100 per annum. Adding fire,theft, damage, personal accident, breakdown cover and protecting your no-claims bonus could take the annual policy up to around £250 to £300. Expect to pay a total of £400 to £450 per annum by adding £15,000 contents cover with specific laptop, mobile and cycle cover. It’s your choice what level of cover you require and policies can therefore be tailored with very specific regards to your personal circumstances. As with any insurance, ring around for quotes and read the small print. Domestic water is often included in mooring costs but check in any case. If your boat does not have a suitably sanitised potable water storage tank, you may need to consider the cost of bottled drinking water. Shore based electricity costs can vary from a daily standing charge, to a metered unit cost, to a pre-payment card. Obviously electricity costs will depend upon your consumption. Any power you use will have a cost. That cost may be the initial purchase price of a solar or wind based 12v generating system or the diesel you use in the 240v generator or boat engine to top up the battery bank. If your boat comes with a renewable energy system already installed you have saved on installation & equipment costs and only then have to cover cost for replacing worn out parts such as batteries etc. Check with the marina staff and local authority with regards to Council Tax liabilities if you are considering using your boat as your primary residence. Residential moorings in London usually attract Band A charges so again, check with the mooring provider for your responsibilities. As we briefly mentioned in the canal boat insurance section, some policies will offer some form of narrow boat breakdown cover. Now, this is not for everyone. We accept that some owners are highly practical and capable engineers. For others though, an engine gets you from A to B, and water comes out of the tap when you turn it on. End of story. 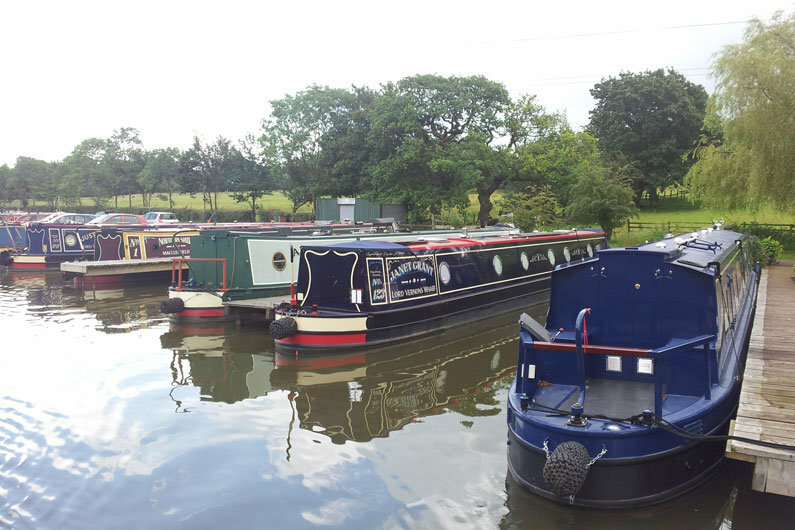 For peace of mind when cruising the waterways, many owners will subscribe to a narrowboat breakdown cover. Using specialist marine engineers and the network of established boat yards on the system, this service will cost from a little over £50 pa to around £200 pa depending on the level of narrow boat breakdown cover you require. Maintenance costs are annual and on-going. The marine environment is harsh and your investment needs looking after. Although many owners are mechanically minded you will still have the annual cost of consumables if you DIY. If you are considering a new canal boat talk to your canal boat builder about what is required to maintain warranties on engines & heating systems etc. A basic engine service may cost from £150 to £250 depending on engine type and sophistication. 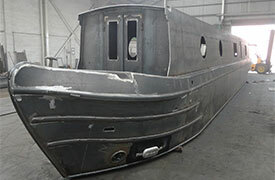 It is good practice to black the hull and replace sacrificial anodes every 2 to 3 years. See our Anodes section in the Hull & Integral Parts chapter. Check your marinas’ costs for removing the boat from the water and putting it back in again. Anode replacement will cost around £150, including welding. 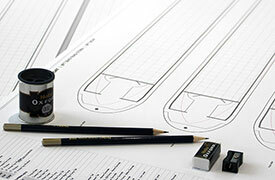 Blacking materials will vary in cost depending on the hull size. Expect to pay £130 for 20 litres of a standard one part bituminous coating plus the cost of materials used in preparation and application should you choose to DIY. Many marinas offer price packages for slippage, anode replacement and blacking but please do check the materials they use are to your expectations and they allow sufficient time to correctly prepare the hull and allow the coatings to dry in accordance with the manufacturers specs. Paintwork requires looking after if you want to protect your investment. We cover this in more detail in the Painting & Protection chapter. However, factor into your cost of living the cost of touching up scrapes and keeping rust at bay. Narrowboats with integral sewage waste tanks will need them emptying. Some boat toilets waste into a large integral tank which has to be pumped out into an approved facility. Not all marinas and boat yards offer this service so if your boat has a tank you will have to factor not only the cost of emptying but also the cost of getting the boat to a suitable sanitary station. Self pump-out kits are available from around £400. These enable owners to empty waste tanks directly into sewers or sanitary stations. Pump-out at marinas, boat yards and at selected CRT sanitary stations costs on average £15. How often you need to pump out depends entirely on your habits and the size of your holding tank. Factor on £100 to £200 pa. The other common type of toilet found on narrow boats is the cassette type. For both integral tank systems and cassettes, you will need to buy toilet fluids. Allow £20 to £50 pa for these depending on your system and dosage requirements. Well, this is a “how long is a piece of string” cost of living. Fuel is used for propulsion (yes even you electric boaters will have a fuel cost to energise your battery banks). How much this will cost will entirely depend upon whether you travel in your boat. However, there are some “standards”. Firstly we measure in terms of engine hours run rather than miles or litres per gallon. Typically, a narrowboat will achieve diesel consumption in the area of 1 to 1.5 litres per hour. If you work on an average of 1.3 litres per hour then you won’t actually be too far off. Diesel at 75p/litre equals £63.00 for the fortnight. Diesel at 80p/litre equals £67.20 for the fortnight. Diesel at 85p/litre equals £71.40 for the fortnight. Diesel at 90p/litre equals £75.60 for the fortnight. Diesel at 95p/litre equals £79.80 for the fortnight. Diesel at £1.00/litre equals £84.00 for the fortnight. Diesel at £1.05/litre equals £88.20 for the fortnight. Fuel is also used for heating and for domestic appliances. See our Heating chapter for more in-depth information regarding narrow boat heating types. In winter solid fuel stoves can burn up to 3x25kg bags of coal per week. Diesel can be used at a rate of up to 1 litre per hour through a diesel stove in mid-winter although an average consumption should be closer to 0.7l/hr for a well designed system. Anything less(more)! is a bonus. Some domestic appliances such as hobs and ovens run on bottled gas. Propane currently costs around £25/13kg bottle. Obviously, annual cost for consumables will depend on how you consume. We debated long and hard what to include in this section & decided in the end to try and give general figures intended as a guideline only. For the more budget conscious we could include rope & fender sets & battery banks as consumables as these will have a finite lifetime and will ultimately need replacing. Assuming 5 to 7 years as an average lifetime, a rope & fender set will cost around £25pa. With a basic 3 x 12v wet cell battery system, you could budget for approximately £50 pa over a 6 year estimated lifespan. Please take these figures as a guide only as there will be boaters who have had the same battery for the last 20 years and whose lines were used during the battle of Trafalgar in 1805. 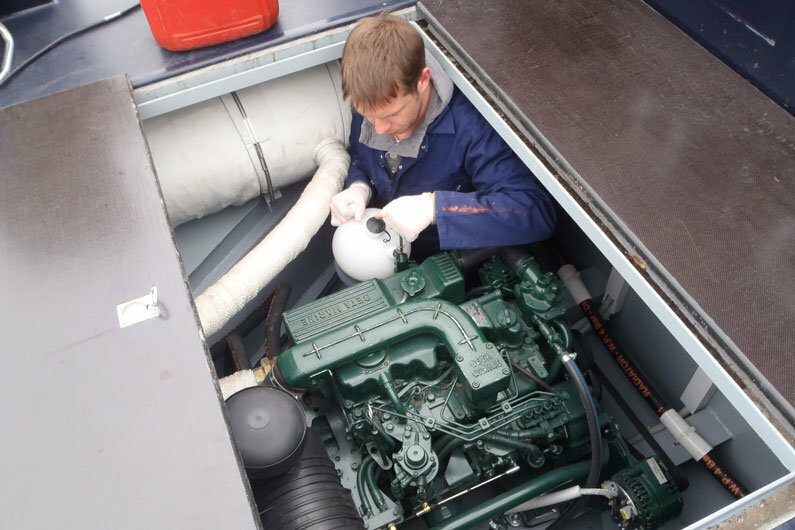 More realistically, boating related consumables will include items such as toilet treatments, water purification products, engine oils and specialist greases for stern tubes where fitted. A DIY engine service could cost around £40 to £60 for a service kit plus oil and grease. Check with your particular engine manufacturer but services intervals are typically 200 hours or annually, whichever is sooner. Those boaters who use a diesel fuel additive to help combat fuel bug & keep injectors clean will pay around £10 to treat 1000 litres of fuel for a popular brand of additive. Toilet treatment chemicals come in at around £15 to £40 pa depending on use. If you purify and filter your drinking water then a state of the art in-line canister system will require a new filter every 6 to 12 months at a cost of around £60. A major manufacturer of table top water filters recommends a new filter cartridge every month at a cost of around £3 or £36 pa. Please understand we have been working here at worse case scenario and for many boaters the consumables costs are far lower. It’s simply a question of finding the right balance for your individual circumstances. From brand new at the point of sale a narrow boat does not require a formal Boat Safety Scheme Examination / Certificate. However, once a narrowboat is four years old it will from there on in periodically require every four years a Boat Safety Scheme examination which will cost upwards of £150 plus the cost of repairing or replacing anything that is faulty.